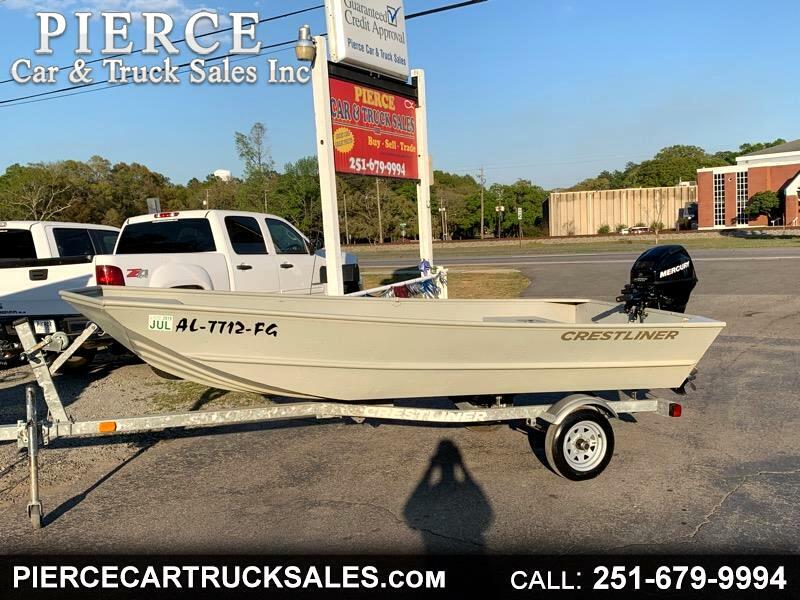 Used 2013 Crestliner CR 1448 for Sale in Satsuma AL 36572 Pierce Car & Truck Sales Inc.
YOU ARE VIEWING A 2013 CRESTLINER CR 1448. IT IS EQUIPPED WITH A 20 MERCURY TILLER HANDLE FOUR STROKE MOTOR, STAINLESS STEEL PROP, LIVEWELL, 6.5 GALLON GAS TANK, AND A SINGLE AXLE GALVANIZED TRAILER. IF INTERESTED GIVE US A CALL AT 251-679-9994 OR FOR MORE OPPORTUNITIES VISIT OUR WEBSITE AT WWW.PIERCECARTRUCKSALES.COM. ALL BOATS HAVE BEEN CHECKED BY CERTIFIED MECHANICS AND GUARANTEED TO RUN AND FLOAT!!! NO TEST DRIVES!!! Message: Thought you might be interested in this 2013 Crestliner CR 1448.